Some exclusive information fresh off the press. 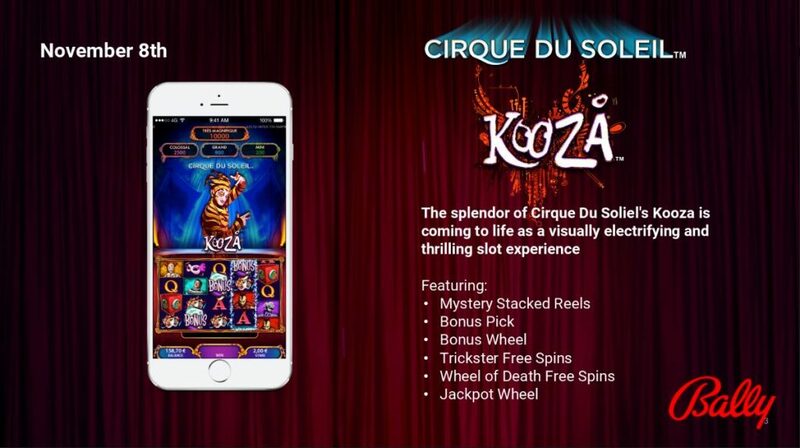 My contact at Scientific Gaming was kind enough to let me know some of their upcoming releases of four slots. 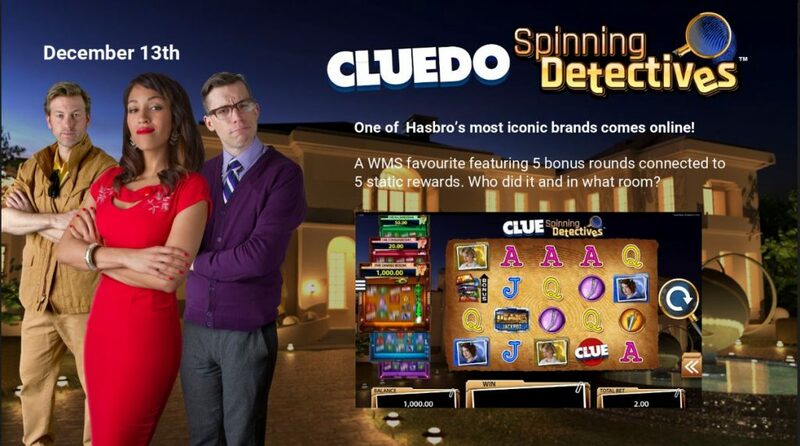 The final release on the 13th December 2016 is called Cluedo Spinning Detectives. Designed by the ever so popular WMS, one of Hasbro’s most iconic brands is coming online. 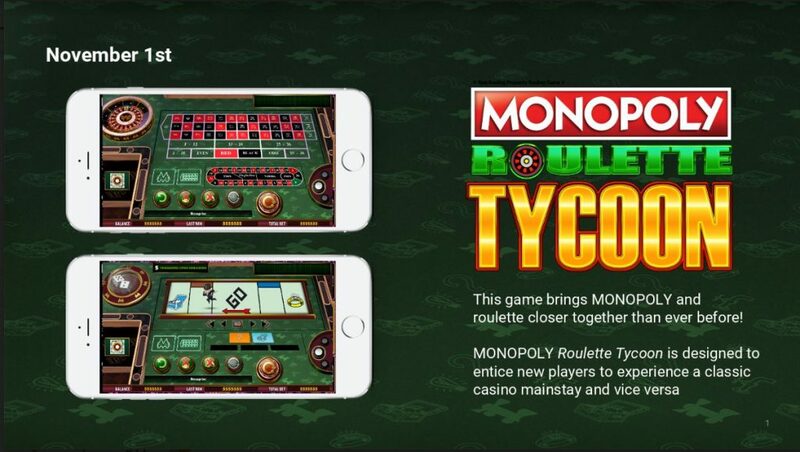 It features 5 bonus rounds connected to 5 static rewards. Who did it and in what room? 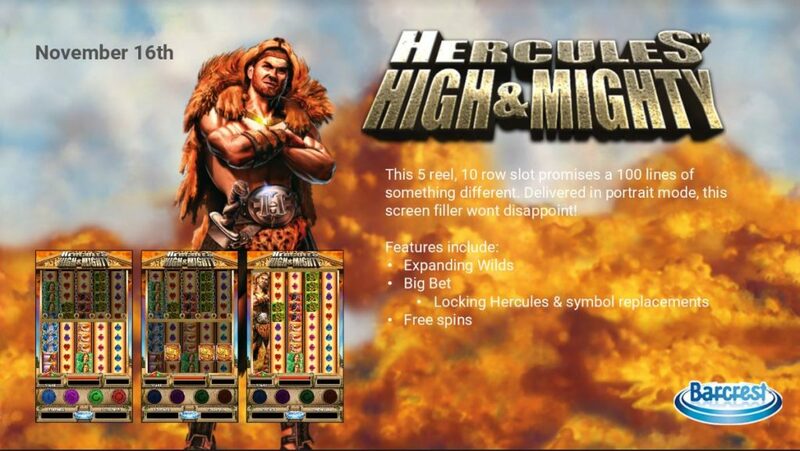 I, for one, look forward to playing these brand new slots as soon as they are released. Some Sunday morning early slotting at my favourite casino, Videoslots. If you’ve made deposit of at least £20 over the past 7 days at Videoslots casino, the number of spins that can be won get doubled!